This example is typical of most survivors with a radial die crack from the obverse border at 4:30. 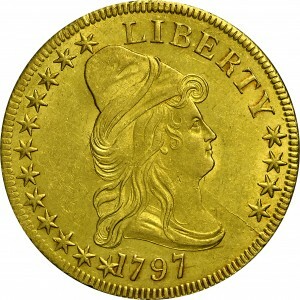 The reverse die is the same as was used for the 1796 Small Eagle issue. Although this example does not show any reverse die cracks, some known examples of 1796 do have die cracks, indicating that these 1796 coins were struck after this 1797-dated coin. 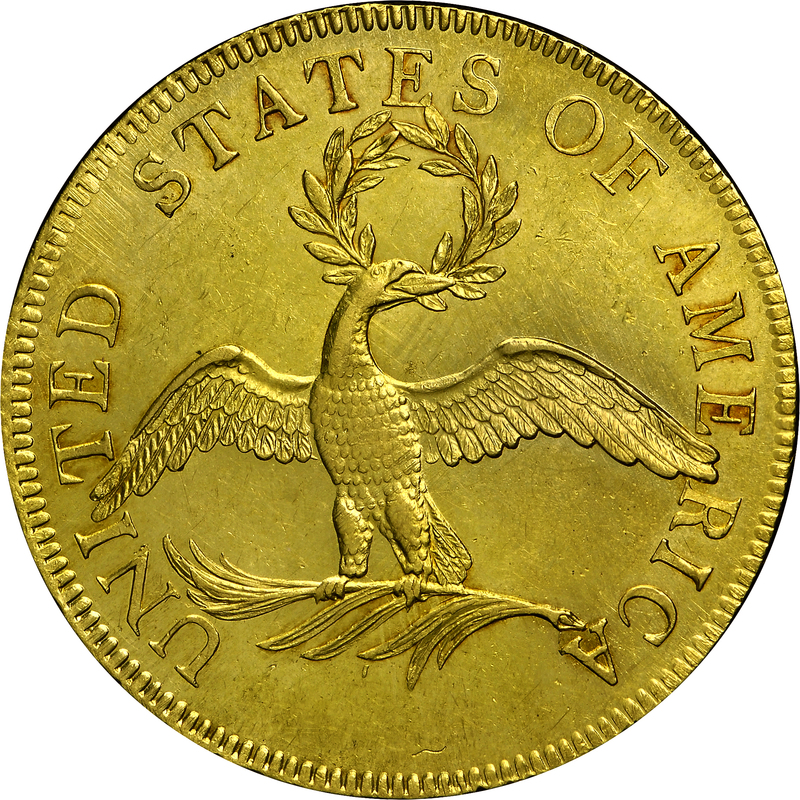 In early Mint history, evidently dies were used as long as they remained serviceable, regardless of the date appearing on the coins. Dies generally were not used before the date shown. "Obverse: Stars 12+4. Two points of star 1 touch 1. 1 punched twice, apparently at different times and with different sizes of 1 punch. Right lower point of star is overlain by the short bottom left serif of the smaller 1, which was more deeply punched than was the larger 1 (the smaller 1 appears to be on top of the larger 1). Further, the tip of the top right star point appears overlain by the 1's upright! Profuse rust lumps. Center punch in hair to left of ear lobe. Die crack, as usually found, from edge into field below star 16 running nearly to upper throat. Another, very faint, from start of main crack tip end of bust. 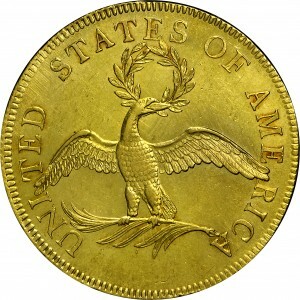 Reverse: That of 1796A, small eagle. Eleven fronds on branch."